PennsylvAsia: New restoration of 1953 Japanese movie Ugetsu (雨月物語) at Row House Cinema, from November 24. 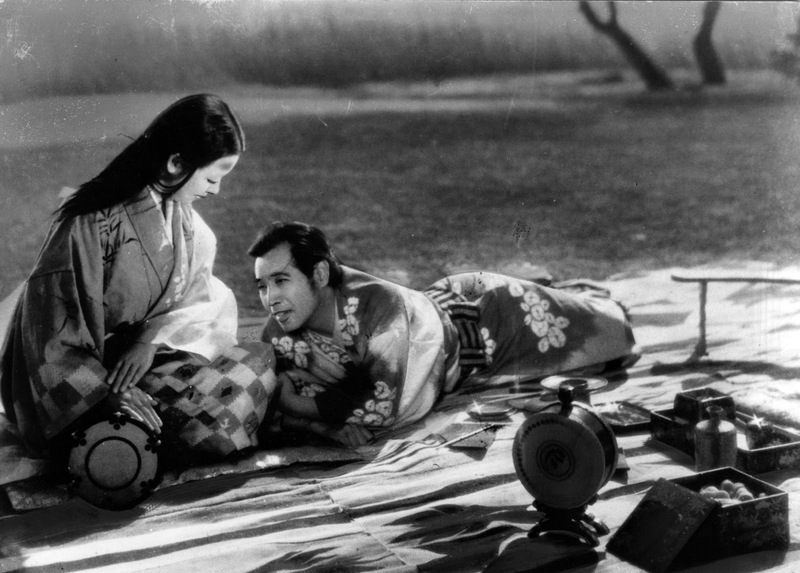 New restoration of 1953 Japanese movie Ugetsu (雨月物語) at Row House Cinema, from November 24. By the time he made Ugetsu, Kenji Mizoguchi was already an elder statesman of Japanese cinema, fiercely revered by Akira Kurosawa and other directors of a younger generation. And with this exquisite ghost story, a fatalistic wartime tragedy derived from stories by Akinari Ueda and Guy de Maupassant, he created a touchstone of his art, his long takes and sweeping camera guiding the viewer through a delirious narrative about two villagers whose pursuit of fame and fortune leads them far astray from their loyal wives. Moving between the terrestrial and the otherworldly, Ugetsu reveals essential truths about the ravages of war, the plight of women, and the pride of men. Tickets and showtimes are available online. The single-screen theater is located at 4115 Butler Street in Lawrenceville (map). Mochi Workshop at Pitt, November 18. New Pittsburgh Asian Dance Meetup. Korean karaoke night, November 14 at Pitt. "Chinese Karaoke Night," November 10 at Pitt.